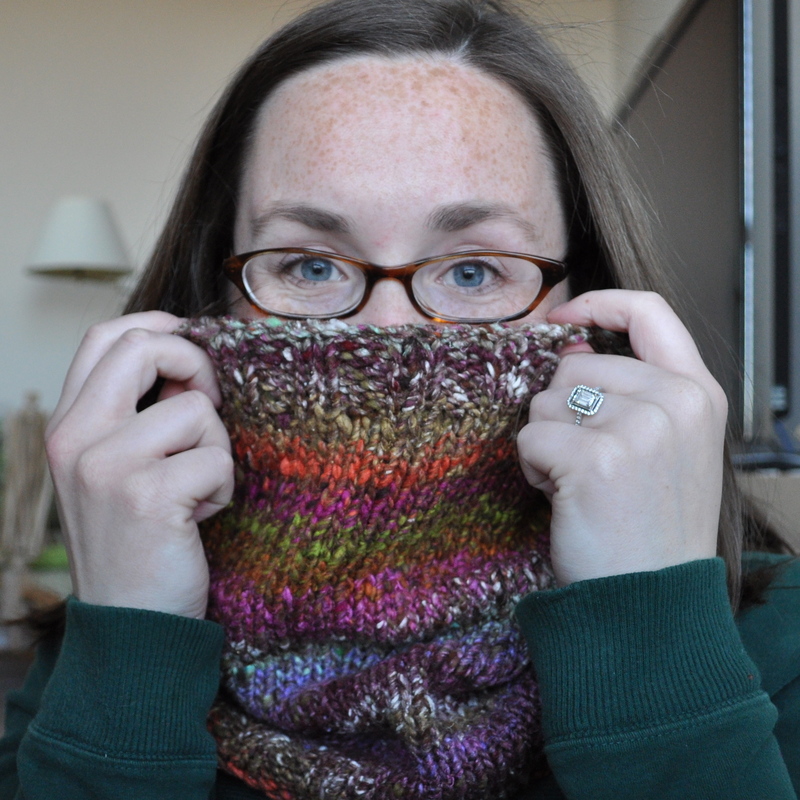 I guess I’m on a Noro-roll these days because I’ve also knit myself a cowl. While in Chicago for the holidays, Sasha’s mom and I visited many yarn shops (yay!) and at an especially nice one called Mosaic Yarn Studio we both fell in love with Noro Kogarashi (which was a new yarn to me!). The shop had a cowl knitted up in one of the colorways (#7), and I liked it so much (and it was obvious that I liked it so much) that Sasha’s mom bought me a skein so I could have my very own. And now I do! 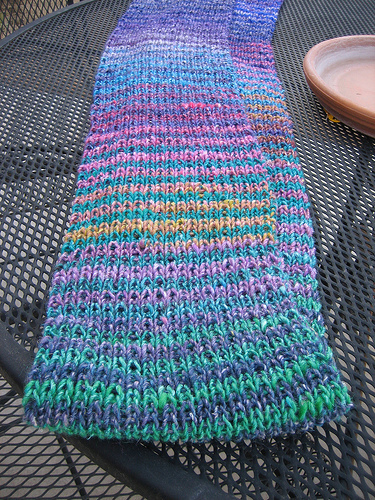 I cast on 80 stitches, worked an inch of 2×2 rib, knit until I only had one color change left, then worked another inch of 2×2 rib. And while on the topic of awesome acquisitions made in Chicago, we went to a great store downtown called Loopy Yarns and I got my first hank of Madelinetosh Lace in Baltic – it’s gorgeous, and very different from anything else I’ve got in my stash. I can’t wait to use it! Any pattern suggestions? 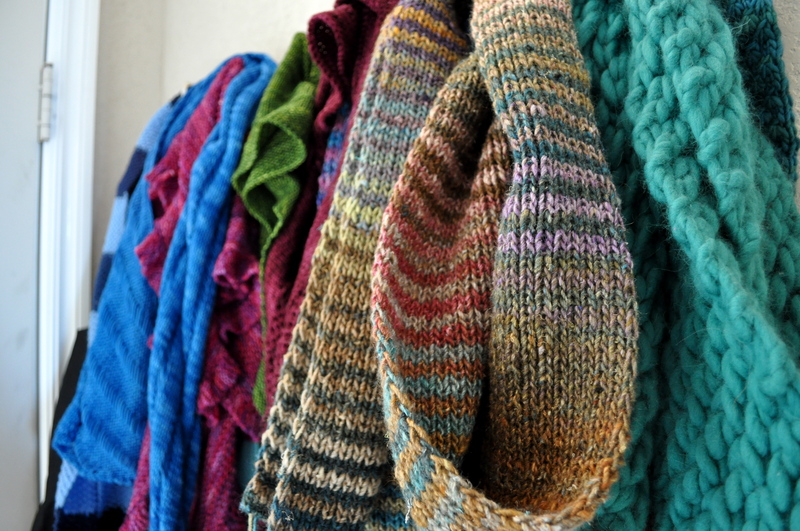 Here’s one final photo of the new Noro scarf joining part of the handknit scarf/shawl/cowl family by the door. 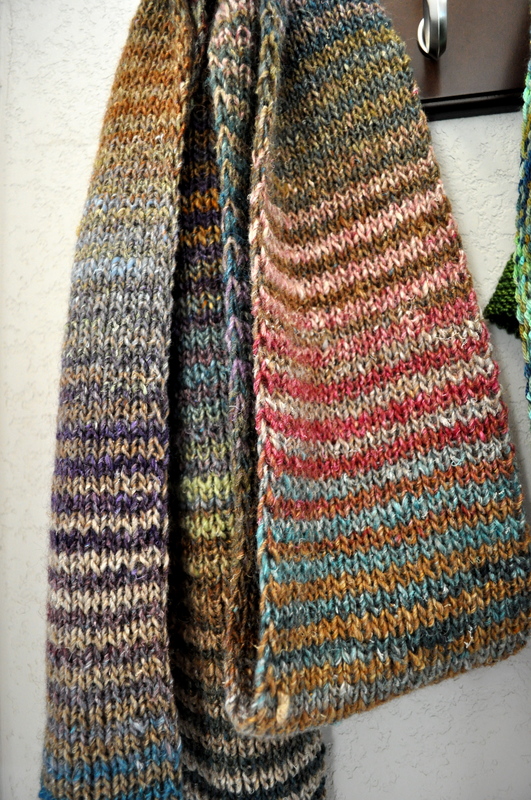 I’ve been bitten by the Noro Striped Scarf bug! 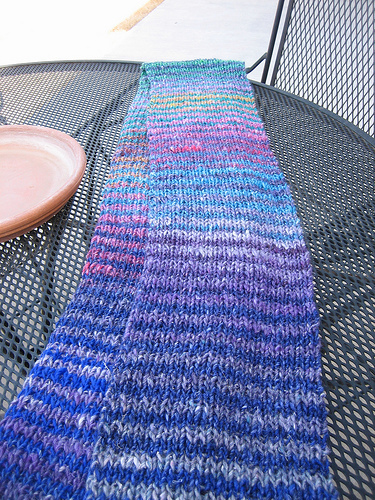 I knew that I would make one soon, and when silk garden went on sale at L&B it just felt like the right time. I chose the colorways 8 and 292, mostly because I was in love with 8 and felt that 292 was the best way to incorporate some pink. E and I arrived at L&B around 2:00 pm. 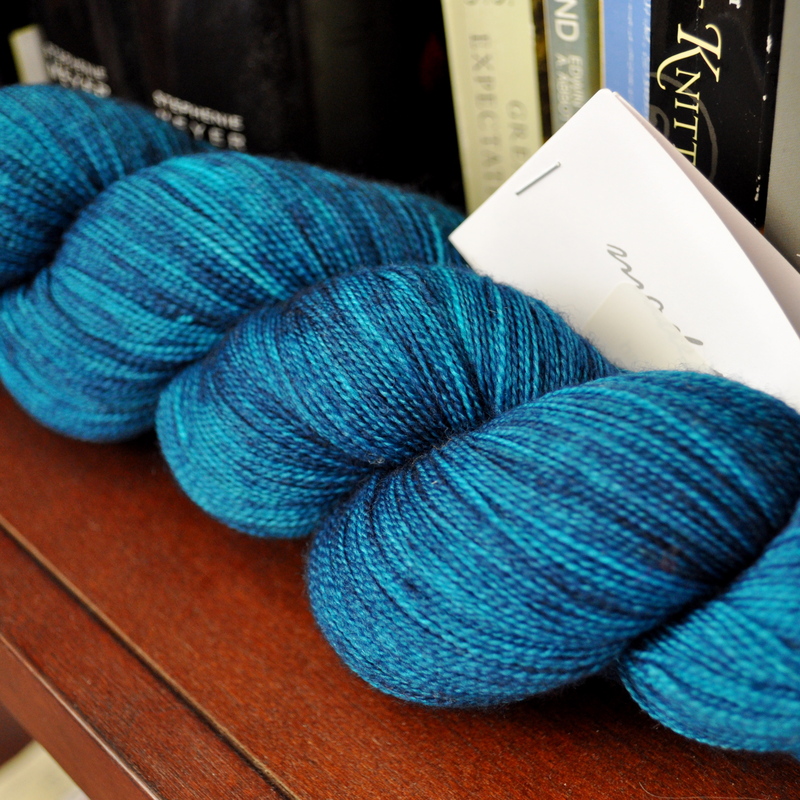 We spent quite a bit of time there, so I’m estimating that I left with the yarn around 3:00 pm. By the next morning, I was weaving in the ends. It would be safe to say that I quickly became obssessed with finding out what the next color combination would look like – so much so that I was finished before I knew it. 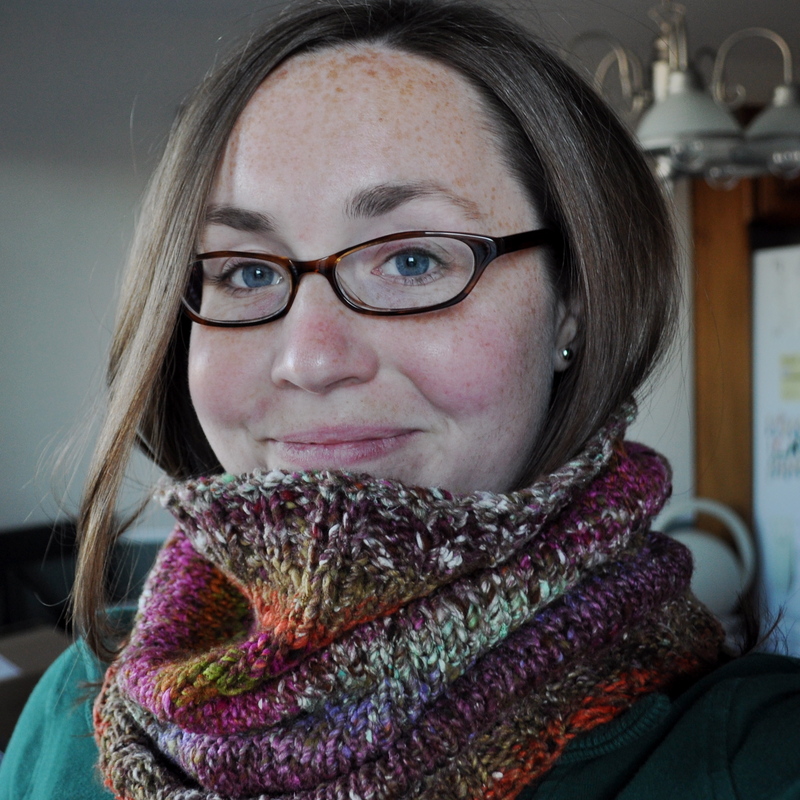 I really enjoyed knitting this, and will probably make another. Not for a while though, and I think next time I will peruse the finished projects for my next favorite color combination. 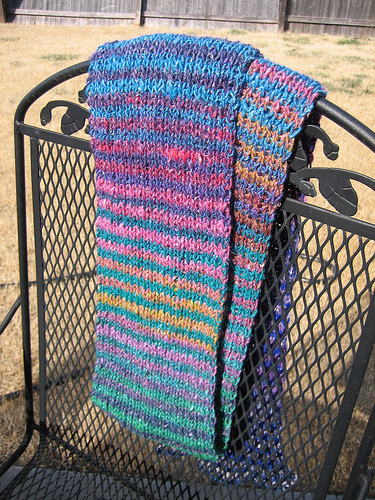 Cast on 39 stitches, worked k1p1 rib with 2 row stripes. Slipped the first and last stitch of every second row purlwise.